We’re deeply involved in the international meetings industry, as advocates, thought leaders, learners and educators. Staying tapped into global innovation and best practice means we can bring back the best ideas and new thinking to share with our clients. Our standout attribute, though, is our people. 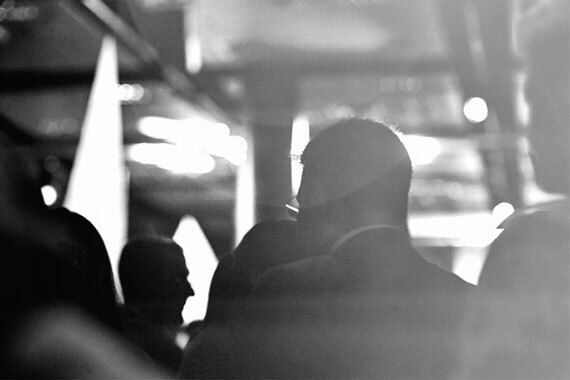 Our conference managers have vast individual and collective experience at the highest levels of the conference industry. They’re known in the business for their energy, willingness, tact and good humour. Our core team of 35 staff includes specialists in finance, IT, sponsorship sales, marketing and social event design. We also have a trusted crew of part-time and interim staff, so we can reliably scale up our staffing as required. Our understudy system means that every key role is shadowed in case any staff member is unexpectedly unable to work. We’re particularly proud of the low turnover in our team. Fully a third of our team, including many in key roles, have been with us for 10 years or more. Jan is the founder of The Conference Company and a longtime leader and advocate for the Australasian conference industry. She is responsible for budget monitoring, risk assessment, contingency planning and overseeing service delivery for our clients. Jan is Chair of the Education Taskforce at the UK-based International Association of Professional Congress Organisers, where she served as President from 2016-2018. She teaches throughout Europe, Asia Pacific and the Middle East, and is a regular speaker at international conferences. Stephen has been with us for over 11 years and is one of our senior team, with significant experience managing international meetings in Australasia and the US. With almost 20 years’ experience in the region, he is active in consultancy and leadership within the Asia Pacific industry. Stephen feels privileged to lead an outstanding team of conference staff delivering superb meetings. He still loves to get hands-on with meeting planning and design, sharing his enthusiasm for technology and the other innovations making today’s conferences more engaging and accessible than ever. As General Manager, James has a key role in our strategic planning and is responsible for the day-to-day operations of the company. With his strong affinity for technology and systems, James is our in-house technical expert and troubleshooter. Prior to joining us 10 years ago, James spent many years in business process and operations management with multinational investment banks and law firms overseas. He brings a highly valued range of people and project management skills to our team. Margaret is our finance team lead, overseeing our rigorous financial management, planning and reporting processes. Her strong accountancy and business management background has seen her work with charities and corporations around the world, including PwC, Telecom New Zealand and World Vision. Margaret likes problem-solving and taking the worry out of the finances for clients. She holds an MBA and is an Associate of the Institute of Chartered Accountants in England and Wales (ACA). She has been with us for 12 years. With 20 years in meeting planning behind her, Theresa is one of our most highly experienced conference managers. She loves the diverse range of people she meets in her role, the variety packed into every day and the pleasure of creating great memories for participants. Theresa builds solid relationships with clients and suppliers, who appreciate her attention to detail and her open, honest and responsive communication style. A strong background in hospitality includes roles as General Manager of the prestigious Dunedin Club and Convention Services Manager at Sheraton Auckland. Katrina has worked in conferencing for 11 years, seven of them with us, planning and delivering a diverse range of national and international meetings. She enjoys the satisfaction of helping bring a client’s vision to life and delivering beyond their expectations. Our clients love the way she makes the process easy for them, with her proactive, service-focused approach and eye for detail. Katrina herself has a long-held interest in higher learning, with a history of tertiary teaching and research, and an academic focus on health psychology and business studies. Highly experienced conference manager Harriet is part of our Sydney team. Her 10 years in meeting planning so far have seen her run events in major cities across Europe, the UK, the US and Asia Pacific. Her portfolio includes multi-stream conferences and exhibitions large and small, in sectors ranging from healthcare to infrastructure. The diversity of Harriet’s experience gives her all-round strength and flexibility in meeting design, planning and execution. She takes pride in delivering personalised events that will be enjoyed and remembered by all who take part. Donna has spent 12 years working in the conference industry in New Zealand, the UK and North America. She has worked for not-for profit and cultural institutions, both within a PCO and as an in-house conference manager. She likes the camaraderie of working closely with clients towards a common long-term goal, then seeing all the hard work come to fruition. People tell us she’s a pleasure to work with, and a great communicator and team player. She brings exceptional project management skills to the everyday task of delivering outstanding results for our clients. Chris first joined us as a Delegate Services and Conference Co-ordinator, before moving into the role of Conference Manager. Originally from the UK, Chris spent several years at AJ Hackett Bungy in Queenstown, managing the company’s onsite venue and growing its conference and incentive business. Chris has been described as ‘fantastic’ and ‘a huge asset for us’ by clients who appreciate his hard work, high standards and personal approach to service. His good all-round knowledge of various roles and sectors within the industry makes him a huge asset to us, too. With 13 years in the industry, Jodi has deep expertise in planning and executing a diverse range of events, from association conferences and exhibitions to fundraisers for non-profits. She finds being closely involved with a project from first concept all the way through to delivery extremely satisfying. Jodi is skilled at building solid, trusted relationships with the broad range of people her role brings her in touch with. Our clients love her friendliness and professionalism, her ability to get the job done, and the willing way she takes a load off their shoulders. Kim’s wide-ranging career began with 10 years in the international and local financial markets. She then spent more than a decade in the not-for-profit sector, where project and event management and Executive Director roles honed her skill at optimising the bottom line. Nihal is a talented sponsorship and exhibition sales and relationship manager who delivers consistently excellent results for our clients. He leads a specialist team with an outstanding reputation in the market for fairness, communication and impeccable service delivery. Many of these satisfied investors return to work with us year after year. Before joining us eight years ago, Nihal worked in the competitive events market in Dubai. Our clients benefit from his brilliant negotiating and research skills, and his ability to engage with people from diverse professions and groups. After 24 years with The Conference Company, Jane is the mainstay of our onsite delivery service. She leads the team who welcome delegates, answer queries and generally take care of guests over the course of the event. Jane is consistently praised for exemplary customer service – she’s been described by more than a few clients as ‘totally wonderful’ – and trains her team to the same exacting level. She welcomes the fast pace and constant challenges of onsite work. After all these years she still loves her role and the way it continues to change as conferencing itself changes. Jennifer leads our Delegate Services team and manages our specialist division The Awards Company. She has worked in the events industry for 11 years, eight of those with us. Jennifer loves the variety of her job and the opportunities to problem-solve, implement new technologies and continuously improve people’s personal experiences of events. From the first online interaction to the event itself, she is always looking for ways to make a participant’s experience – whether it’s a client, a speaker, a delegate or an award entrant – the easiest and most enjoyable it can be. We’re one of just a handful of Australasian members of IAPCO, the UK-based International Association of Professional Congress Organisers. This is the global body dedicated to raising standards of service throughout the meetings industry. We first passed IAPCO's membership audit process in 2002, and must continue to pass rigorous annual quality checks to maintain our membership. 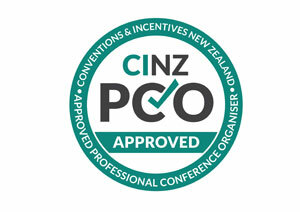 We’re also accredited with Approved PCO status from CINZ (Conventions & Incentives New Zealand). Our involvement with these organisations gives us a vast network of colleagues, contacts and sister companies around the globe. That means on-the-ground intel and logistical access to every corner of the world, so we can work wherever our clients need us. Our company was founded in 1990 by Jan Tonkin, who is still at the helm today. In almost 30 years we’ve successfully managed hundreds of national and international conferences, exhibitions, events and bids. Our work is guided at all times by the principles of empathy, integrity and whole-heartedness. We take the time to listen and understand what you really care about. We fit flexibly around your people’s busy schedules. Our finances and processes are fully transparent, so there are never nasty surprises. And whatever you need from us, we’ll be there and ready to give it everything we’ve got. We try to see the world through your eyes, and take on your priorities as our own.